Stunning. Yes you would have needed your brolly this morning. I love the beautiful soft colors. Beautiful flowers indeed. 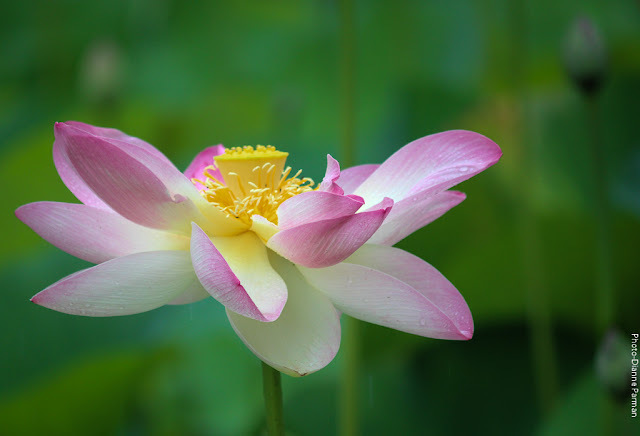 I work with a Vietnamese lady & she had a dish made from the centre part of the Lotus Flower for her lunch once. She offered me a taste but I didn't try it. I told her it looked a bit suspicious. Tony McGurk - yes I believe that certain parts of this plant can be eaten raw or made into a sweet-paste but I've never tried it !! Stunning colours, flowers and photos. Stunning. 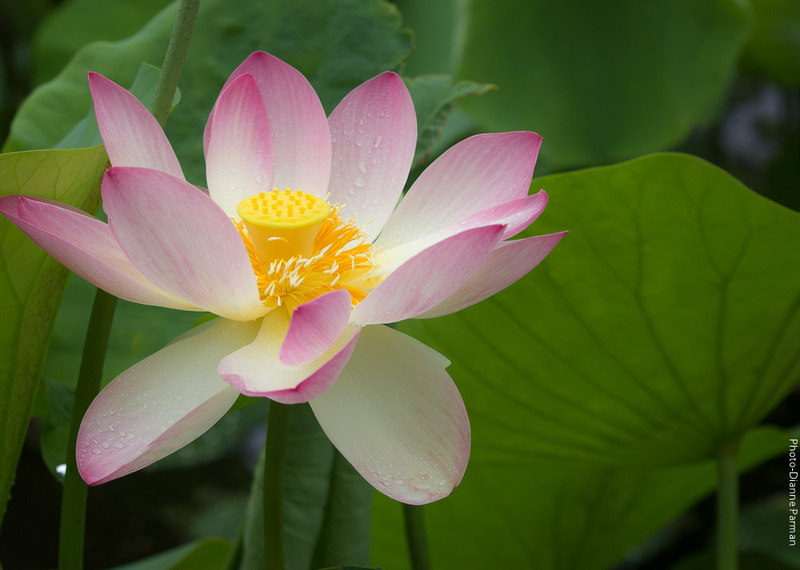 I always love to visit these Lotus blooms too. One of the spectacular sights in our Botanic Gardens. A beautiful flower, delicately captured. gorgeous. Have a wonderful summer. I believe you might be getting some rain over your way. My son's family are currently heading across SA.